Does anyone know what happened to the new Revox R2R that was supposed to launch in 2017? 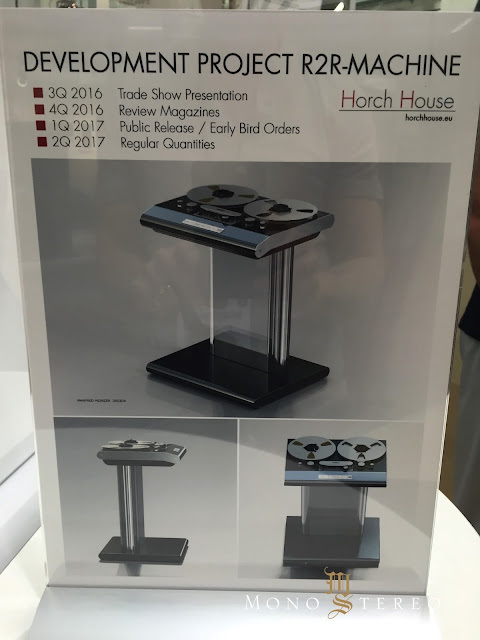 I emailed Horch House in Slovakia -- any links they had touting the new Revox relaunch and any information regarding it are now dead ended. Will report if Volker Lange or anyone at HH responds. Amps: Dan D'Agostino Progression Monos on 20A dedicated breakers. Preamp: Dan D'Agostino Progression Preamp. Digital Source: dCS Paganini 4 stack (Transport/DAC/Clock/Upsampler). Analogue Preamp: VAC Renaissance SE Phono stage with XLR Output Option & with Nordost Tyr 2 P/C and Tyr 2 XLR's. Analogue Sources: SME 20/2 w/SME V arm & Nordost Valhalla TA cable, Palo Santos Presentation Cartridge & Akai GX-400D Reel-to-Reel w/relapped heads by JRF Magnetic Sciences. Akai RC-17 cabled remote. Vibration Control: TT on HRS M3X 1921 shelf, Stillpoint Ultra SS under dCS Transport, Stillpoint Ultra-Mini's under dCS 3 Stack. HRS NA100's under Ansuz D8 Power Distribution Bar. Speakers: Wilson Audio Alexia in Argento Silver/Black grills. Power Cables: 3 each 2.5M Nordost Odin Supreme Reference on amps & preamp. Nordost Valhalla V1 on dCS Transport. Power Distribution Bar: Ansuz Mainz Diamond 8(D8) fed by Ansuz Diamond Power Cable. Power Outlets:Furutech GTX-D NCF (R) duplex outlet, GTX Wall Plate & Duplex Cover (x2). Speaker Cables: 3M Nordost Odin Supreme Reference with 4 Nordost Sort Lifts. Signal Cables: Nordost Tyr 2 XLR's 2M on dCS Paganini and Mono amps. Nordost Valhalla 2's 110 ohm Digital AES/EBU on dCS internal connections and Crystal Cable Firewire 1394 cables on dCS. Headphones: Selling - 6M Cardas Clear HP cables. Vintage Koss Pro IV AA. Tube Test Gear: Mint late '60's/calibrated Heathkit TT-1A & current SOTA MaxiMatcher Power and Preamp tube test sets. Received this email from Florian Ernst at Horch House (add the https://www. to link below if interested in receiving their newsletter). we’re delighted to read about your interest in our tape machine. The project is still in the development phase with no release date set thus far. To combine an affordable price with the highest possible quality - given that a tape machine a very complex system - we will need more time to finalize the development. Don’t hesitate to contact us for further questions at any time. For those interested and wondering what we're speaking of, here's a picture. Based on the Studer B-676 with pricing targeted back in 2016 at $4,500 USD for the playback only machine. Interesting comment about “continued development”. Since they were one of the best known makers of R2Rs into the late 1990s, you would think they just need to pull the schematics and CAD drawings and start building. This is not really new technology. Hopefully, they will follow through and actually build them. Probably more of an executive decision as opposed to a development issue. I am sure that consumer interest would help. Found this on the web -- from a few years back. But gives a bit more info -- to excite anticipation levels in those interested. I also read where the machine will have meters or offered as an upgrade -- probably on the recordable model (if that's still being considered). "At Munich High-End I spoke at length with Volker Lange of Lutz Precision, Horch House is a division of Lutz Precision. Volker is the founder of Horch House. The new Horch House reel-to-reel machine is being designed by Manfred Meinzer. 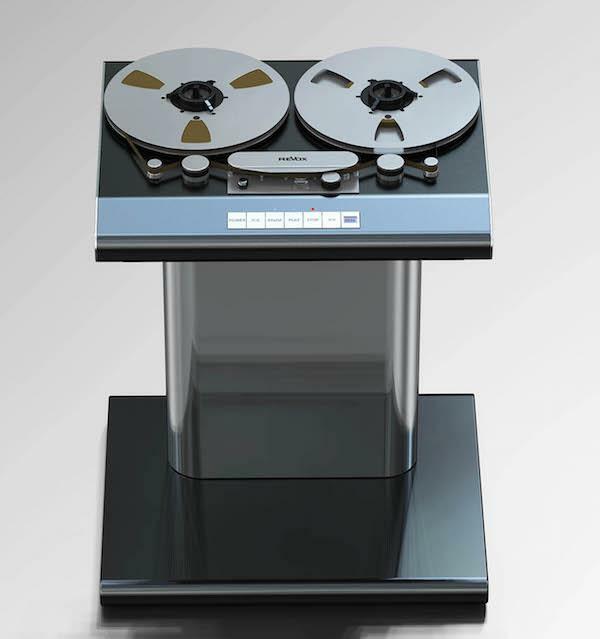 From the mid-1960s on Manfred was responsible for the physical design and appearance of all Studer and ReVox tape decks. I asked Volker how he could possibly expect to design and manufacture a high-quality open reel tape deck for only €4,000. I asked him what is his business model. Volker said: "Our business model is the ink-jet printer business model. We want to sell the tape deck at this [low] price to get people to buy our tapes." He said a working machine will be demonstrated at the Denver show in October 2016. This is clearly a real product which is going to see the light of day. Only RTR's at RMAF this year were all vintage. Does anyone recall if the prototype was unveiled at RMAF 2016 as stated above? I can't even seem to find a working link to their website, so that, and after all the time that's passed, I'd have to believe this project is never going to become a commercial reality. Last edited by FreddieFerric; 10-21-2018 at 09:35 AM.